Secure-IT™ framing system is a type of construction which features turned 2x4's, steel connection plates and 1" x 4" dadoed belt rails. This storage building system is so strong, it has been noted for its ability to withstand high wind conditions under even the toughest circumstances. 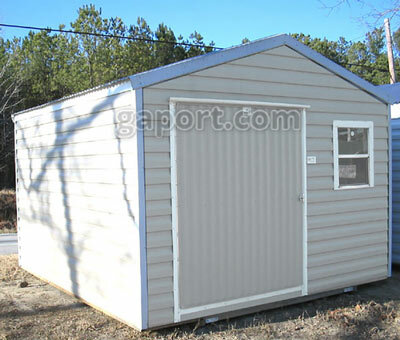 You can enjoy beautiful aluminum lap siding with baked-on enamel finish for years of carefree good looks with our aluminum building sheds. Available in many decorative colors and tasteful combinations to match your lovely home decor. 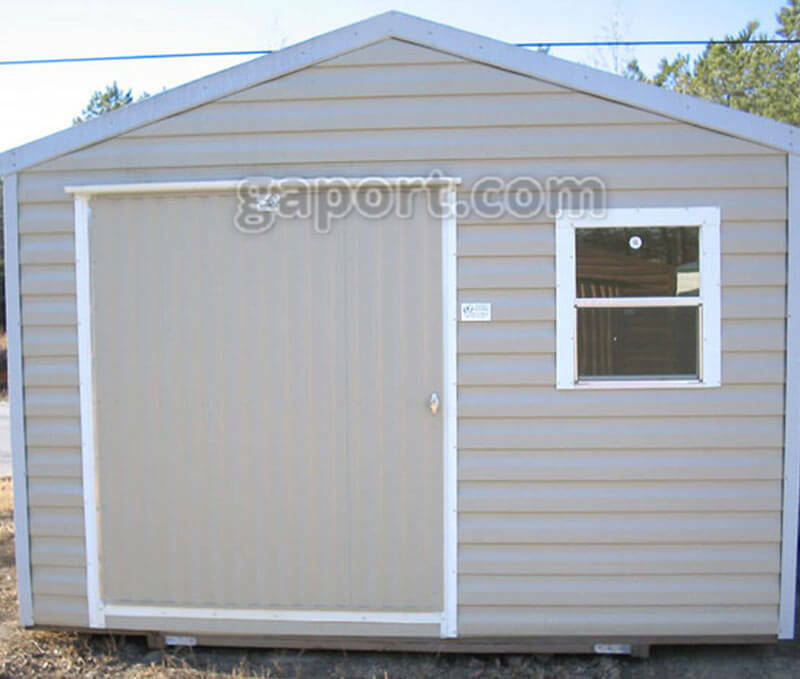 There are many ways you can add to charm to your portable storage building if you want to decorate it or add personal touches. The aluminum building can still meet code or subdivision covenants within your homeowner's association or coventry and be an attractive addition to your backyard at the same time. Choose from many color combinations and roof styles, even metal roofs or shingles if you prefer! Check out our completely portable rust-proof, bug-proof and pest-proof shed selection today!